Grotto Canyon trail in Kananaskis Country, near Canmore Alberta, is unique in several ways including the pictographs on the canyon wall. I might have missed the rock paintings but another hiker pointed out the general location earlier along the hike. The trailhead to Grotto Canyon hike is on the left side of the parking lot. 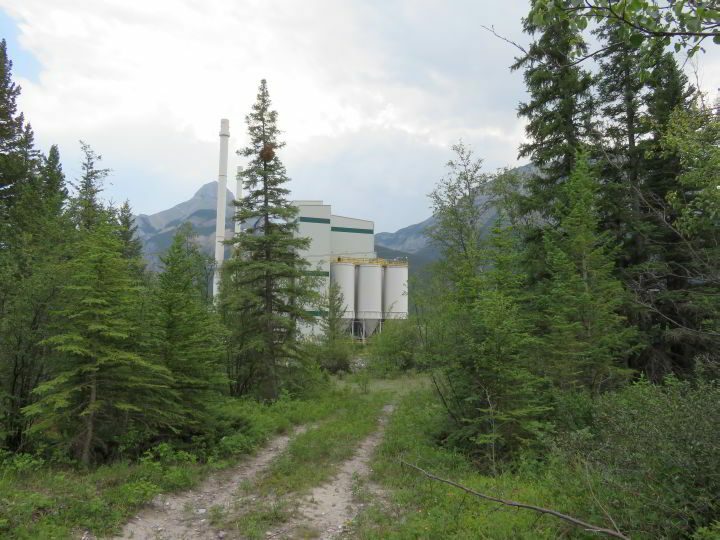 Starting off with a strange twist to hiking trails in Alberta, you will walk past the Baymag (magnesium oxide) facility in Exshaw at the start of the hike. Driving from Calgary to Banff you see the industrial site from across the Trans-Canada highway and Lac des Arcs. Who would imagine a cool hiking trail exists on the other side of a lake behind an industrial plant in the Rocky Mountains? 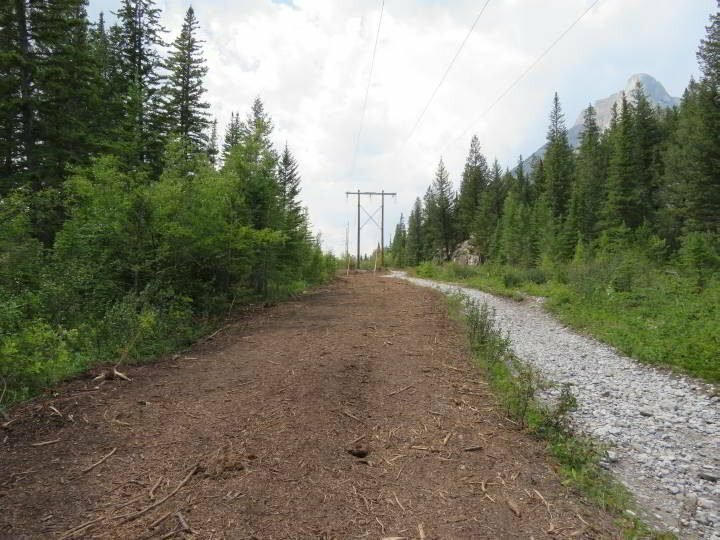 If you’re thinking who the hell wants to see an industrial facility during a hike, then maybe you will enjoy a more serene hike close to Canmore. 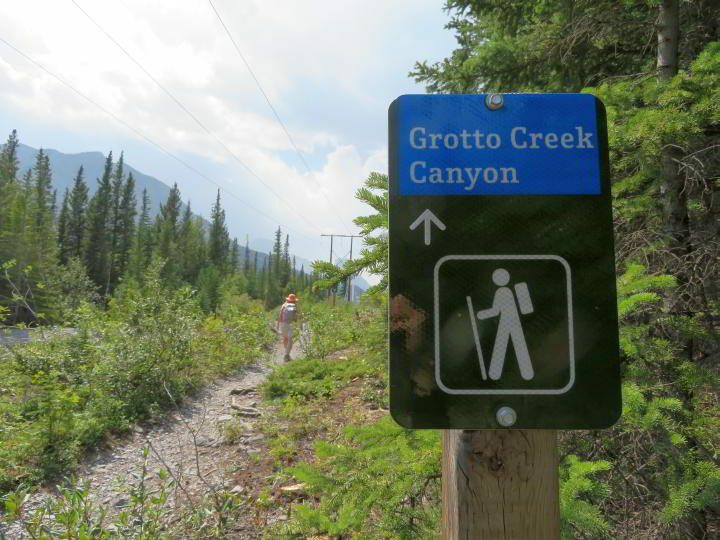 Try Grassi Lakes trail instead. 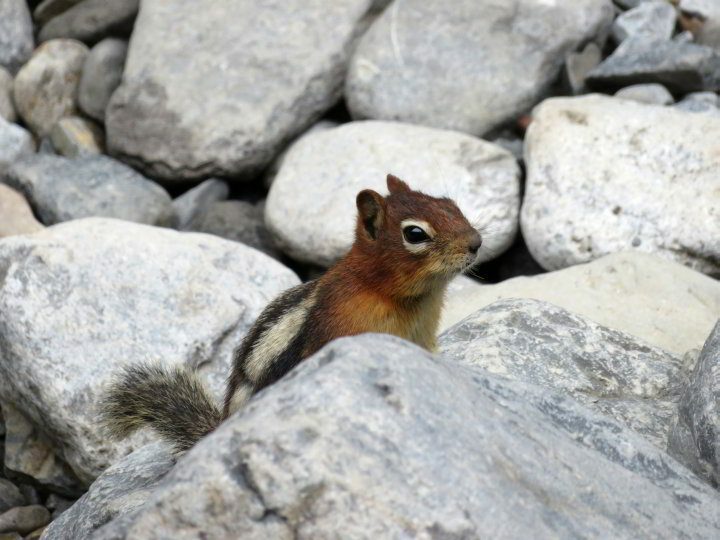 Read on to find out more about this unique hiking trail near Canmore Alberta in the beauty of Kananaskis Country. 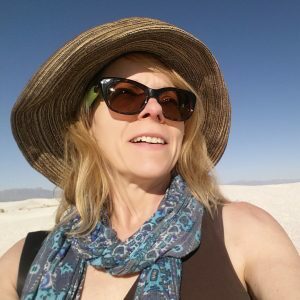 Did Hopi Indians visit Grotto Canyon? 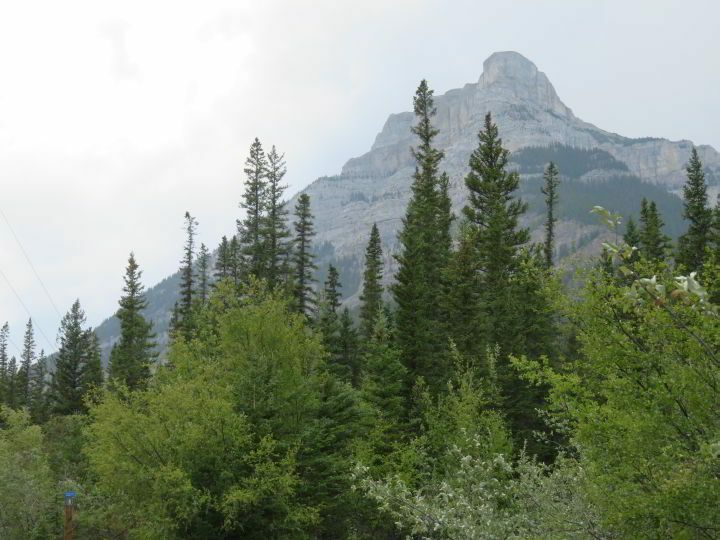 Starting from the trailhead this hike is not going to win you over but trust me when I tell you it’s worth your time to check out this easy Kananaskis hiking trail. 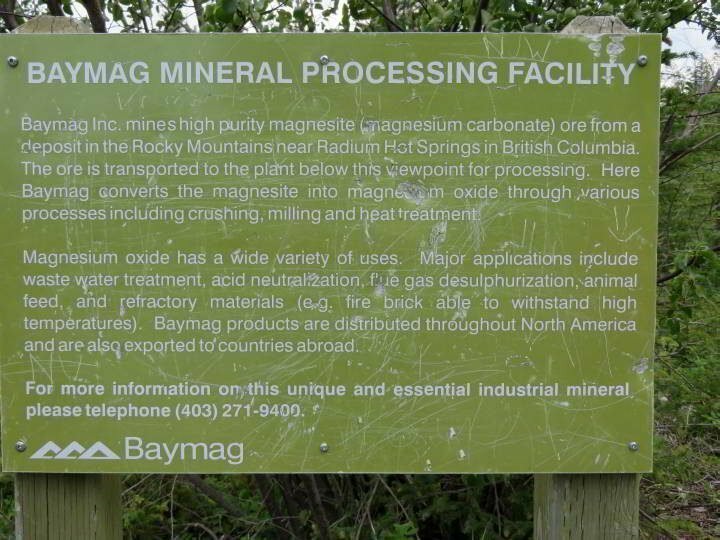 Walking past the Baymag plant there is a sign explaining the many uses of magnesium oxide such as water treatment and acid neutralization. Continuing on the trail past the Baymag site the trail is mostly straight and uneventful but then turns towards the canyon and a change of scenery. 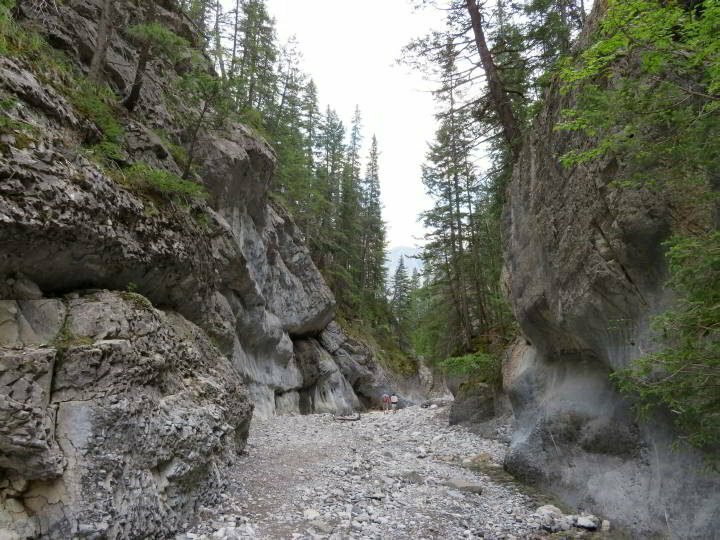 Now if you’ve been to Johnston Canyon in Banff this hike may prove underwhelming. 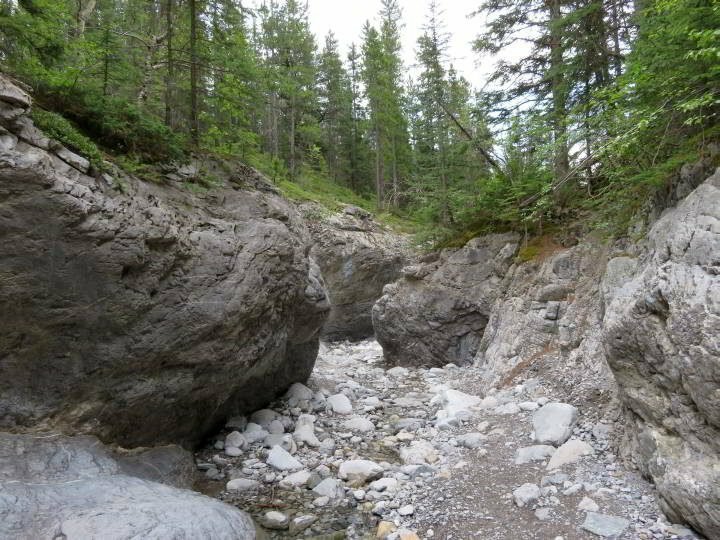 But the Grotto Canyon has something Johnston Canyon does not. 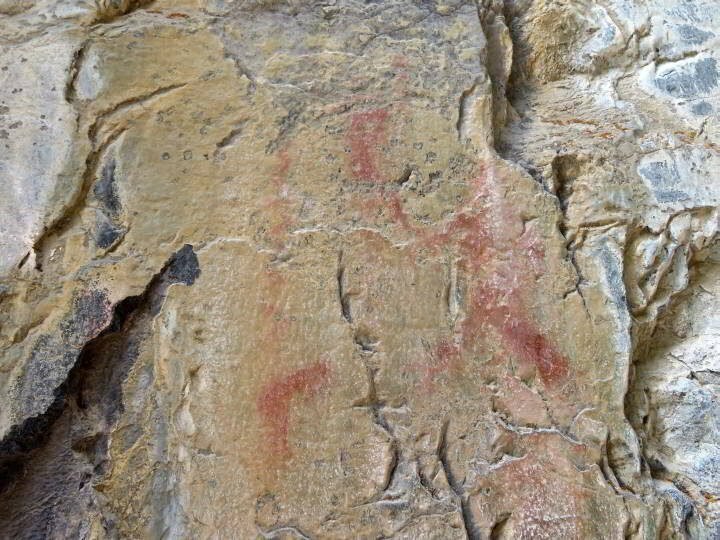 Pictographs from several hundred years ago. 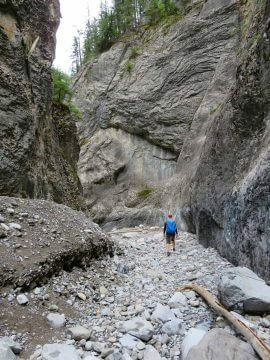 So it’s worth it to hike the Grotto Canyon trail, plus there are way fewer people on this hike! You’ll want to wear proper hiking shoes on Grotto hike because there are a lot of rocky areas and it’s easy enough to slip or twist an ankle if you’re wearing the wrong footwear. Shortly after entering the narrow canyon there is a spot with several pictographs that you’ll miss unless you are looking for them. 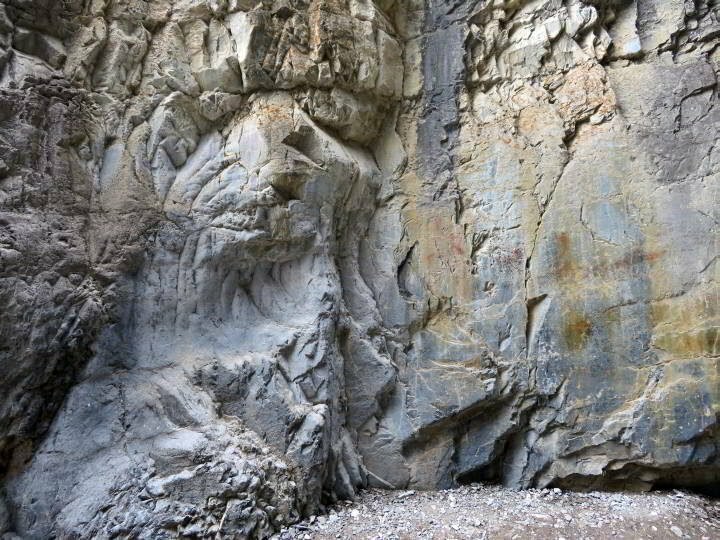 Watch for the pictographs on the left side of the canyon, around 4 to 5 meters (12 – 16 ft) up the canyon wall. See the photo below to help guide you to the pictograph site in Grotto Canyon. In the southwestern United States the Hopi Indian tribe lives in what is now Arizona, the area where their ancestors lived for thousands of years. The Book of the Hopi, written by 30 elders of the Hopi nation, includes the story of a journey to the land of ice and snow. 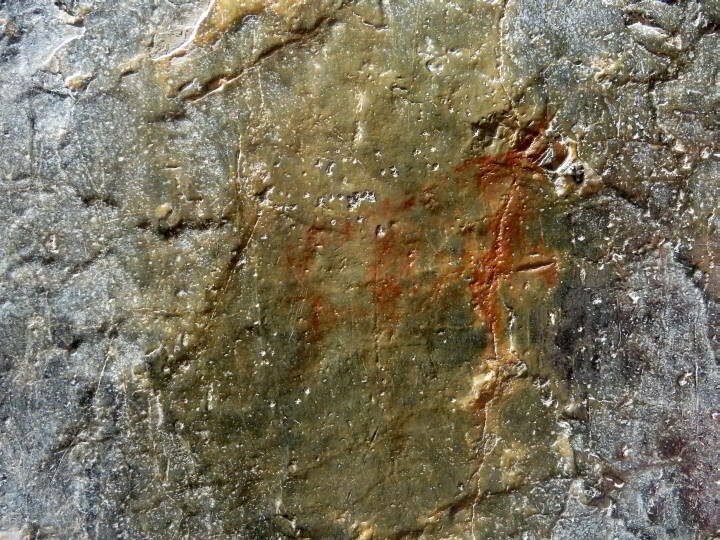 Could the pictographs in the Grotto Canyon be from the Hopi Indian trip to the northern lands? 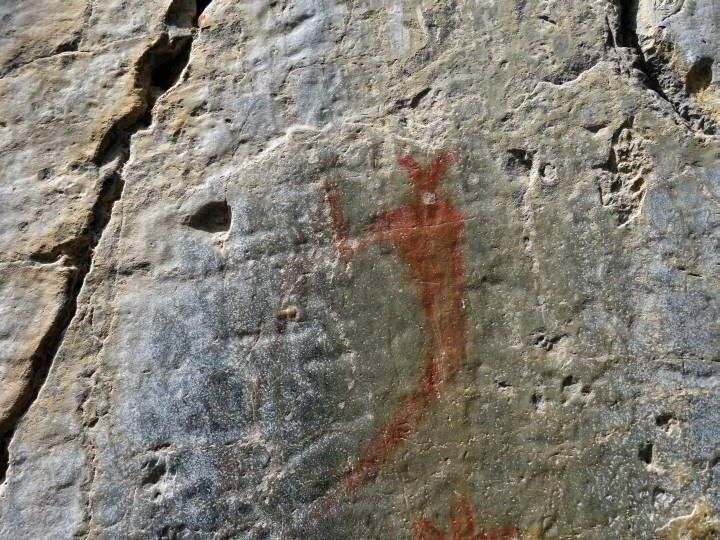 According to this Globe and Mail article a Canadian archaeologist believes the Hopi made the pictographs in Alberta, including one of a flute player which resembles the Kokapelli. 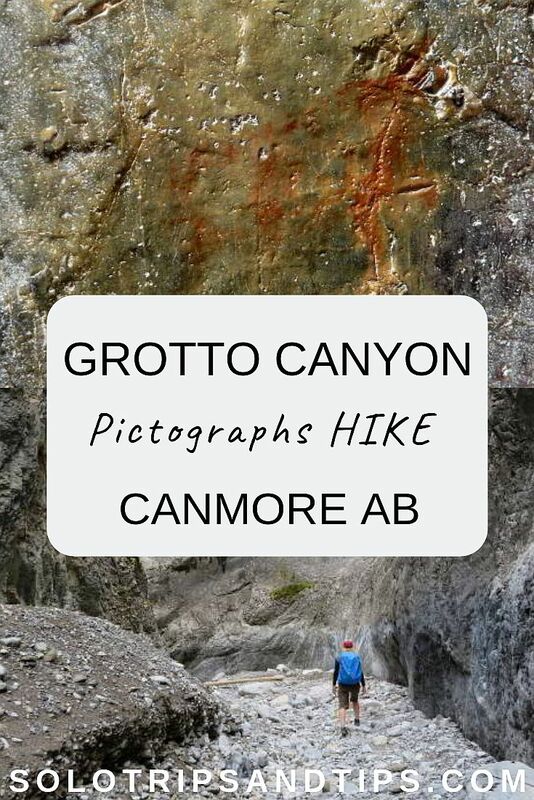 Only 10 minutes from Canmore Alberta the Grotto Canyon hiking trail is a favorite for all types of hikers, from families and group outings to solo hikers. 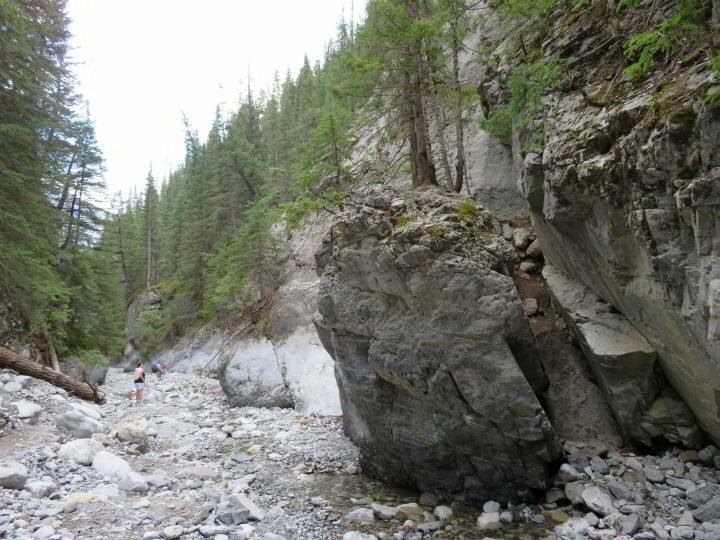 Take Bow Valley Trail (Hwy AB-1A East) for 12 km (7.5 miles) and turn left into the Grotto Canyon parking lot. Allow 10 – 15 minutes driving time. Trailhead is on the left side of the parking area. 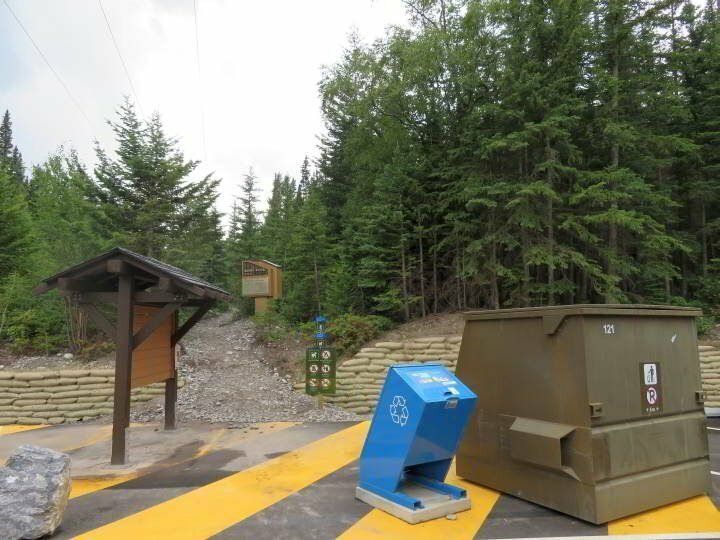 Take the Trans-Canada Hwy 1 West to exit 114 towards Seebe/Exshaw/Stony Indian Park. Merge onto AB-1X North, you’ll cross the Bow River, then shortly afterwards at the T intersection take a left onto Bow Valley Trail (Hwy AB-1A West) signs for Kananaskis/Exshaw. 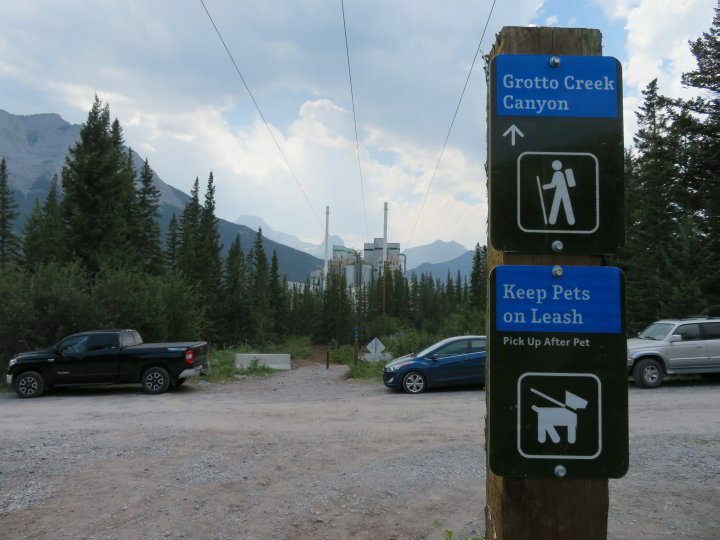 Follow Bow Valley Trail (AB-1A W) for 11.2 km (7 miles) then turn right into the Grotto Canyon Trail parking area. Allow 1 hour driving time. The trailhead is on the left side of the parking lot. 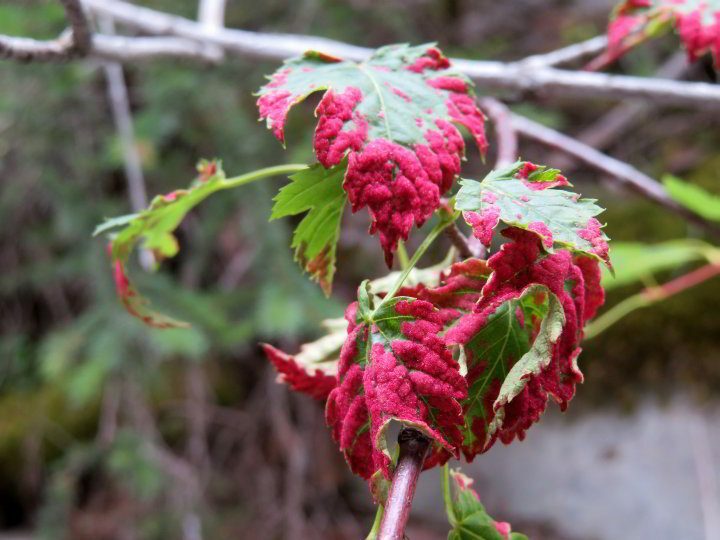 From May through October and throughout winter you can also hike this trail provided you are prepared for winter conditions with possible ice and snow. Be sure to wear crampons in the winter and hiking poles are also a good idea. Fascinating to learn that the Hopi may have made this trek. I have never heard of this. Weather and time have tried to hide these amazing petrographs. Yes it’s so intriguing, the Hopi could be the artists who painted these pictographs. The art on the canyon walls is amazing to see but it’s easy to hike right past unless you know where to look.